Man: Look at that! My Klout Score is up 20 points! Woman: I don't care what my Klout score is. Man: Everybody cares about their Klout Score! Woman: I care so little I've never even looked it up. It could be zero, for all I care! Man: Oooh you are so lucky! 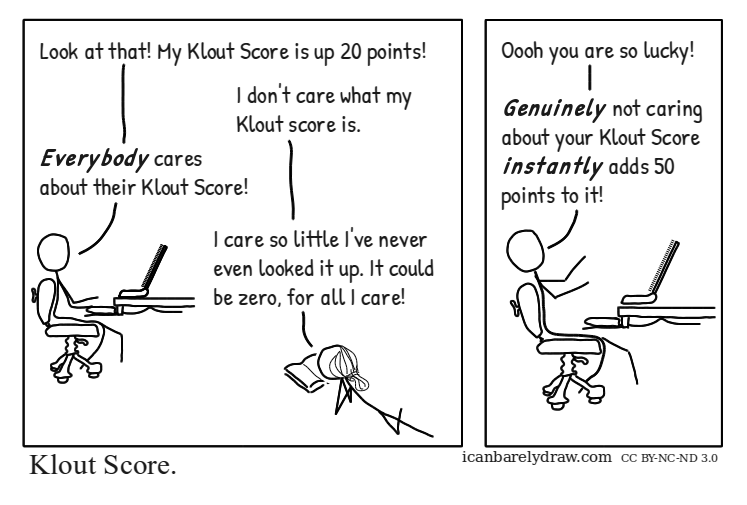 Man: Genuinely not caring about your Klout Score instantly adds 50 points to it!